People were understandably excited when Nova Launcher added icon normalization to the beta app. 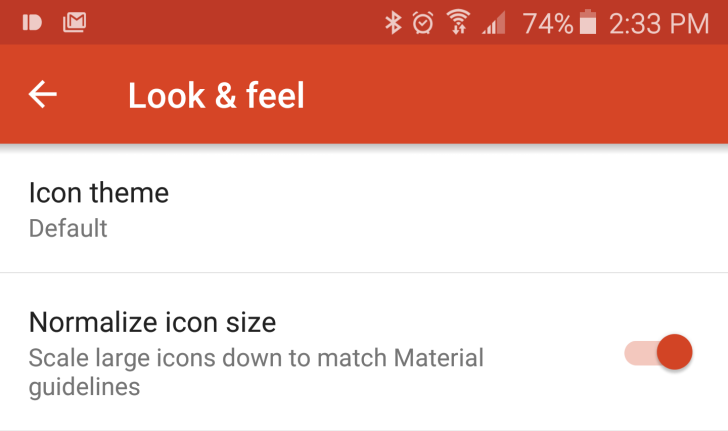 This feature automatically scales app icons to make the sizes more visually consistent. It’s been a few weeks, but icon normalization is ready for prime time as part of the new v4.1 update in the Play Store. Here’s the changelog for the new version. Icon normalization is the headliner, but there’s a bit more too. The normalization setting can be found in the Look and Feel menu. It’s available to everyone, even if you don’t have a premium license for Nova. The resizing algorithm takes into account complex outlines and keeps the alignment based on the underlying shape. It seems to do a great job. In addition to the icon stuff, there are some changes to the search bar for marshmallow themes, as well as a few permission changes for Marshmallow.